Are you a retail store, museum, or online shop looking for wholesale Cricket Flours pricing? We are Oregon’s first cricket company offering a wide range of products using edible insects. We have a full line with our Cricket Flours product including our cricket powder, roasted crickets, roasted mealworms, and even ready-to-bake and ready-to-make mixes like our Cricket Brownie Mix and All Purpose Baking Flour. We ship daily to businesses, retail stores, museums, and food producers to deliver our quality cricket products crafted here in Portland, Oregon. Our lead times are volume driven and range from immediate to six weeks as our crickets are harvested and crafted locally here in North America. We now have FREE SHIPPING options available for our wholesale pricing orders for stores and supermarkets. If you work with a distributor, let us know and we can speak to them directly about including our products with your current orders. 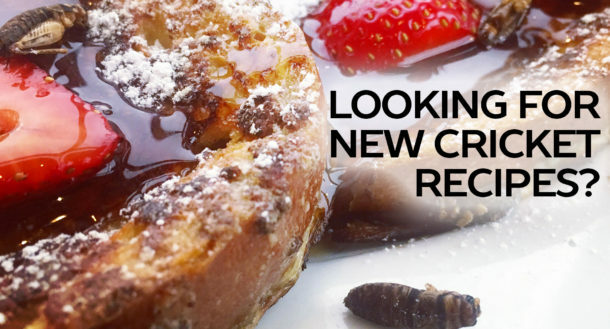 For more information, simply fill our the wholesale edible insect contact form to get started. Please include information about your company such as the location, website, and whether you are looking as a retail store, broker, distributor etc. Thanks again and we look forward to working with you!